Chinese smartphone maker Xiaomi last week launched its selfie-centric budget device in the Redmi S series dubbed as the Redmi S2 in China and now, the company has started teasing the launch of the device in India. While the company has not revealed the name of the device, the teaser has mentioned that the device will be selfie-centric and with this, we can guess that it will be the Redmi S2. 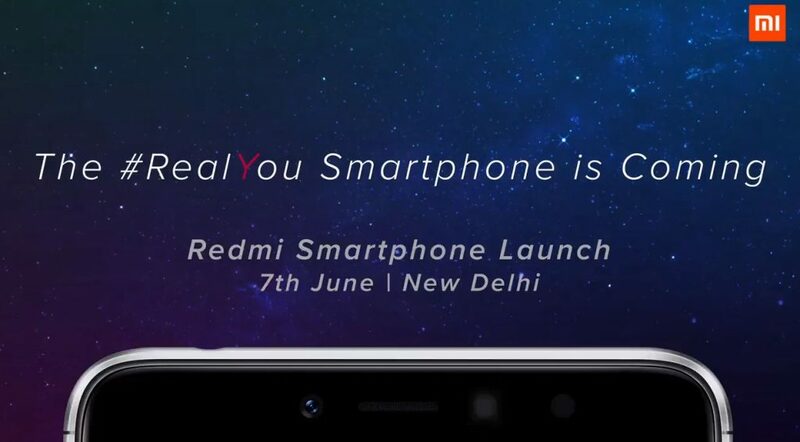 In the teaser, Xiaomi has highlighted the word ‘Y’ and considering that it had earlier launched the Redmi Y1 as selfie-centric device, we can assume that the Redmi S2 will be launched as the Redmi Y2 in India. The Xiaomi Redmi S2 will be launched in India on 7 June at an event in New Delhi. It was launched in China starting at CNY 999 (Rs 10,650) and may be launched in India for Rs 9,999. The Xiaomi Redmi S2 runs on Android 8.1 Oreo with Xiaomi’s custom MIUI skinned on top. It features a 5.99-inch HD+ 2.5D curved IPS LCD display with a resolution of 1440 x 720 pixels and an aspect ratio of 18:9. In terms of performance, the Xiaomi Redmi S2 is powered by an octa core Qualcomm Snapdragon 625 SoC coupled with Adreno 506 GPU. In terms of memory, the device is available in two variants – 3GB RAM + 32GB storage and 4GB RAM + 64GB storage. It has a dedicated microSD card slot, allowing you to use two SIM cards and a microSD card at once. The Xiaomi Redmi S2 features a 12MP primary camera with f/2.2 aperture, 1.25μm pixel size, PDAF and a secondary 5MP rear camera. On the front, the device sports a 16MP selfie camera with an LED flash and AI beauty mode. The Xiaomi Redmi S2 is powered by a 3,080mAh battery. Connectivity options on the device include 4G VoLTE, Wi-Fi 802.11 a/b/g/n, Bluetooth 4.2, GPS and a 3.5mm audio jack. It features a fingerprint sensor at the back and the infrared port has been placed at the top.